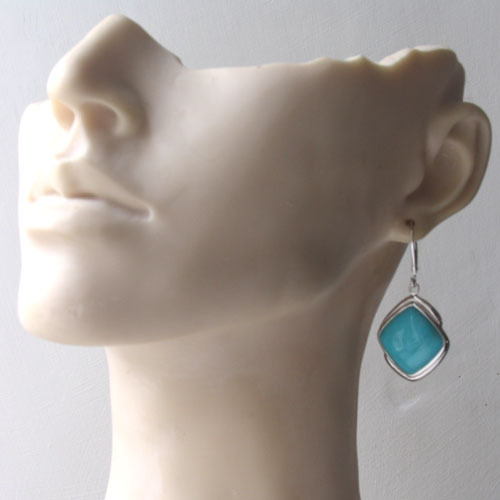 These fabulous dangly earrings are happy earrings! 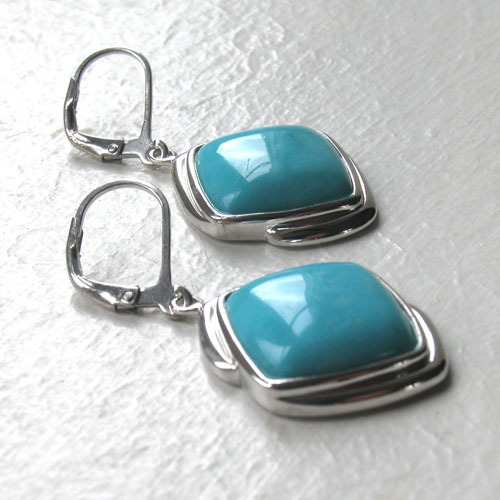 They are a joy to wear - beautifully made, excellent turquoise stones and a great size to be noticed but not dominate your face. 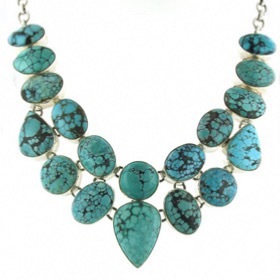 The turquoise colour is vivid and true and the stones are unveined. 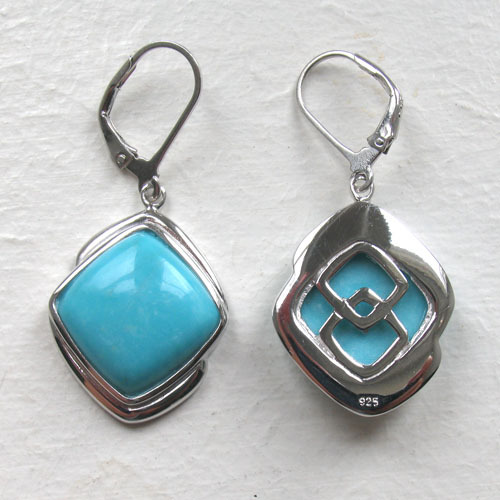 They are mounted in a chunky sterling silver setting. 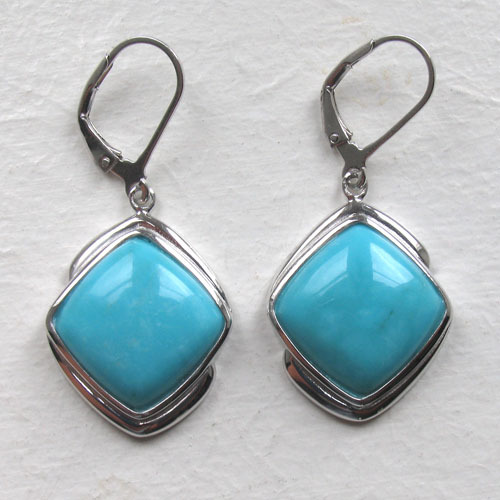 The earrings fit in your ear with a lever back earwire to keep them closed and safe. The backs of the earrings are also good to look at! 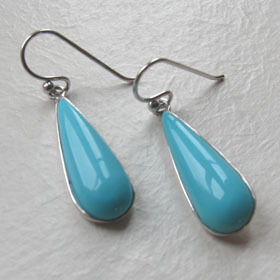 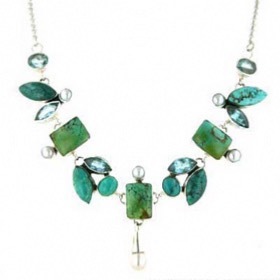 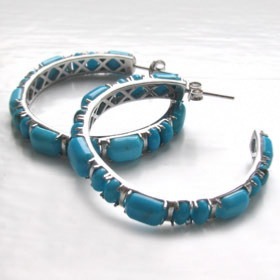 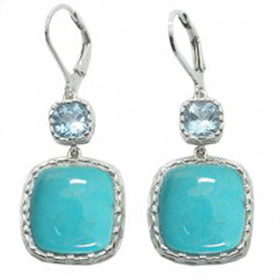 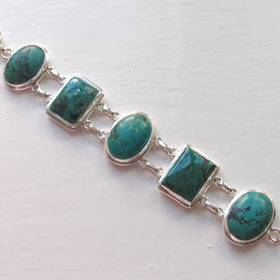 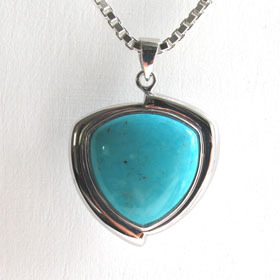 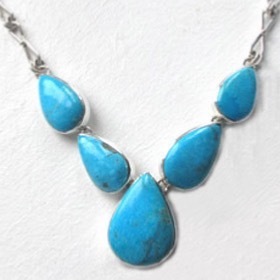 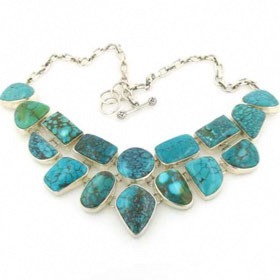 See more of our turquoise jewellery collection.